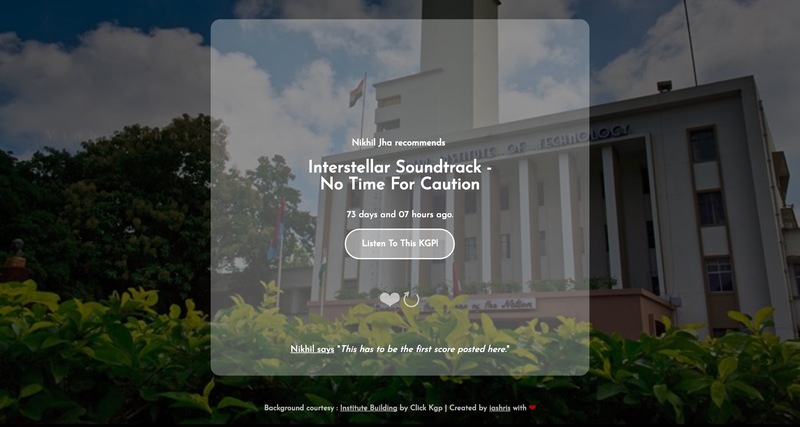 A Chrome Extension that replaces the new tab with a serene picture from IIT Kharagpur with a song recommended by one of the IIT students. Graduating from IIT Kharagpur was a surreal feeling. I knew that I under biology's preordained rules will gradually forget the places of the campus and its people. But with technology, I knew I had the power to reverse that. 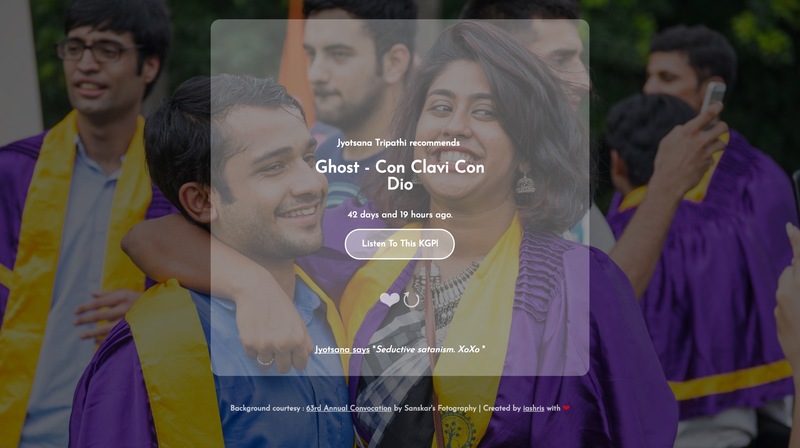 There is an amazing group called Listen to this KGP that acts as node for students of IIT KGP to share their favorite songs with each other. I created a Chrome Extension that replaces the new tab of the Chrome browser with one of the songs posted by a student with a nice backgorund of KGP in the background. 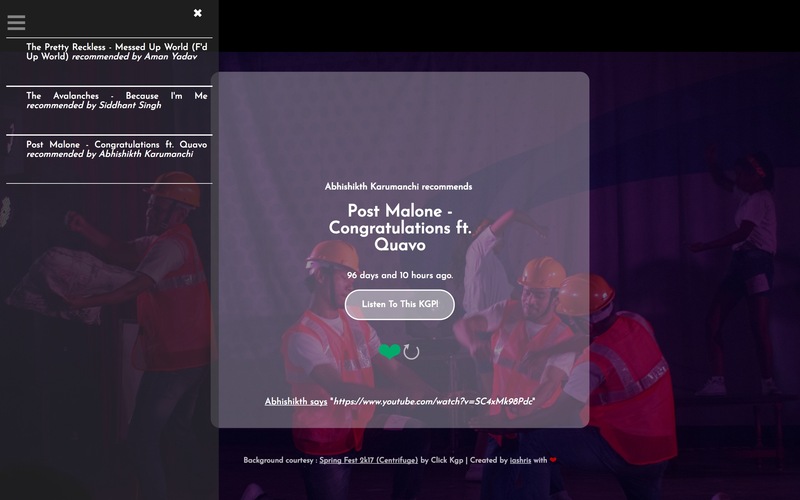 In the backend is a site running on heroku that fetches posts and renders fresh songs and images. Baked in nostalgia and warmed in good music, the extension cheers users up who aren't there in the campus but through these subtle nostalgia ticklers feel a sense of being in place. 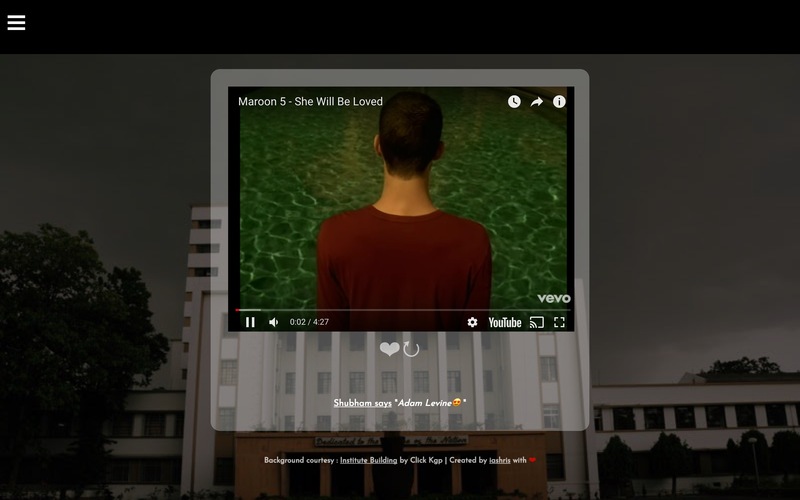 The music can be played in-browser itself and the music plays in background. 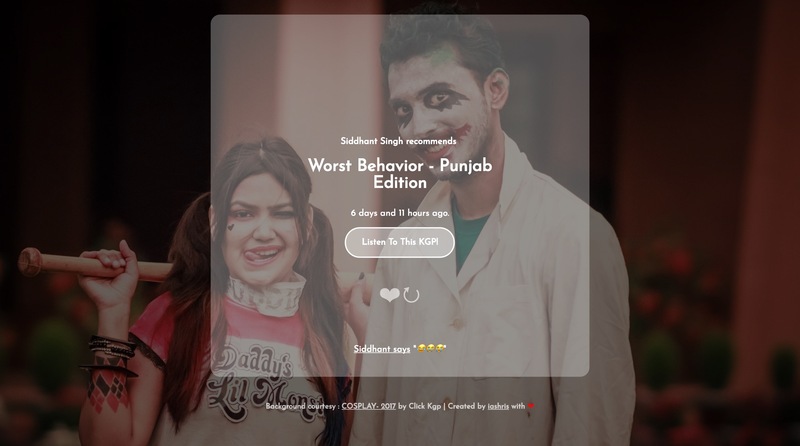 I also implemented a playlist feature that lets user store a record of their favorite songs which can be accessed with a side bar on left.